Disclosure: I did not receive any product for this post. This post is not sponsored by any company mentioned below. All opinions are my own. Pardon the lack of pictures in this post. 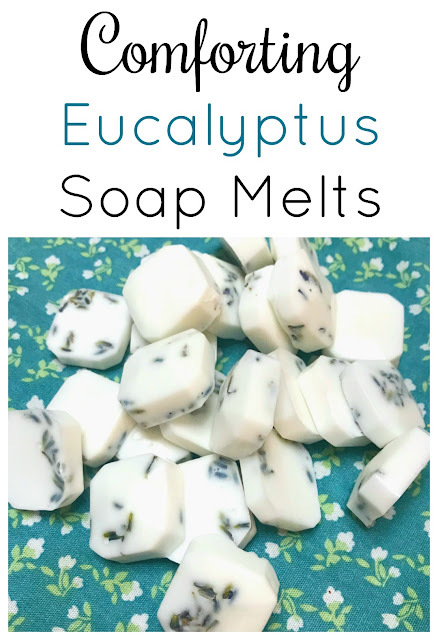 I wasn't originally intending to post this one so fast but I've had so many requests for these DIY soap melts I wanted to make sure to share in time for those hoping to make some for themselves or family and friends over the holidays. I love making homemade gifts for my family and friends and these turned out to be one of my favorites this year. Whether we like it or not seasonal colds are bound to hit at least one person in the family this year. No one likes to be sick so anything that can be done to help ease symptoms is a plus! 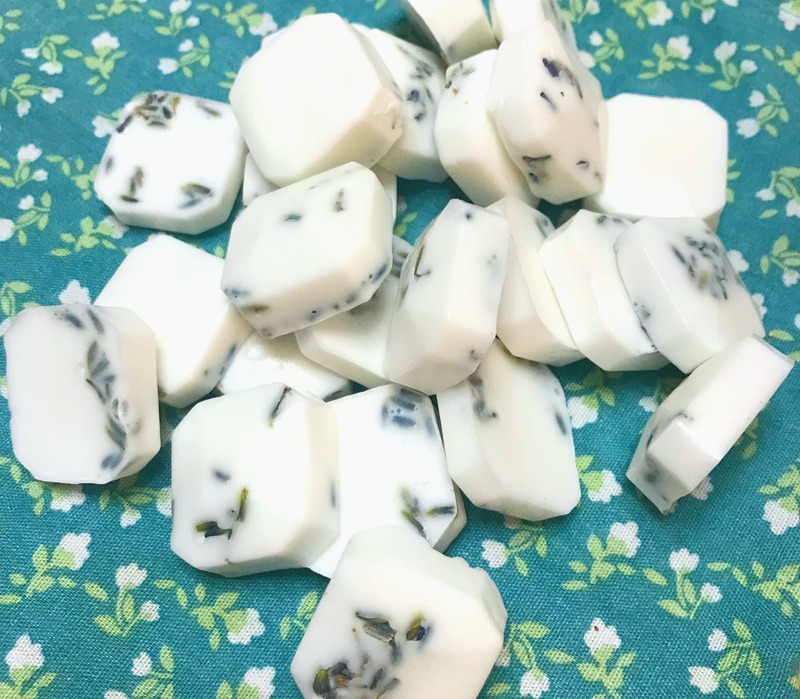 I scoured the internet looking at recipes for shower melts and found that a lot of people had trouble with the traditional melt made from corn starch, baking soda, and other powders. I already had soap base on hand so I decided to skip the powders and create my own fragrant, comforting, sinus-opening melts to use in the shower or bath. With just a few supplies and ingredients, you can make your own soap melts! 1. Soap base like the Our Earth's Secret's Goat's Milk blocks I purchased from Amazon. 2. Small silicone molds. I found mine at our local arts and crafts store in the baking isle. The size you'd use to make candy are perfect for this project! 3. Essential oils (Eucalyptus, Peppermint, Lavender, and Deep Blue from DoTERRA). 1. 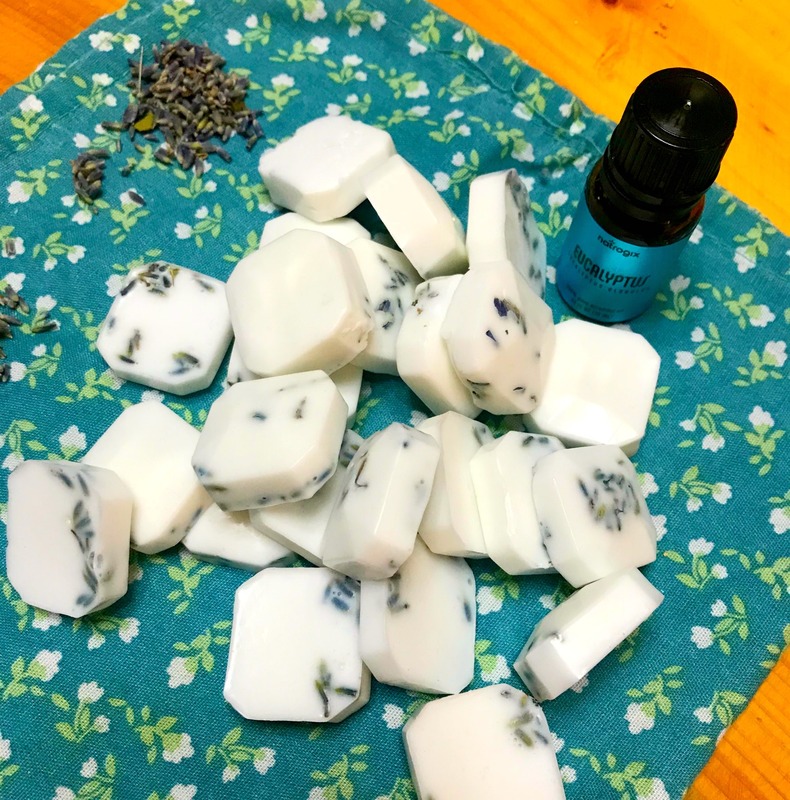 If using dried lavender, sprinkle some in the bottom of each section of your silicone mold. 3. Once the soap base has fully melted, add 5 drops of each essential oil and stir into the melted soap. 4. Very carefully, pour the liquid soap into each silicone mold section. Allow the soap to dry at least 30 minutes or until completely hardened and then pop out of the mold. Make sure your melts are completely hardened before storing in air-tight containers to preserve the scent of the oils. 5. Use your melts in the tub (goat's milk is great for your skin!) or place it under the shower for a comforting, sinus-relieving moment of relaxation. Thanks for following Our Southern Style!